On Tuesday I was watching KSA 70th birthday party that was organized by the Temple Management company. His guitar was to be auctioned at the party; I had previously read somewhere that the guitar was auctioned for Fifty-two million naira (N52m). When I read it in the news, it didn’t make much of a big deal to me. I didn’t even take the time to process the information until I watched it live. Rule 1: by a show of hands. Rule 2: by writing how much you would pay, on a piece of paper. Rule 3: by sending an SMS to a number. 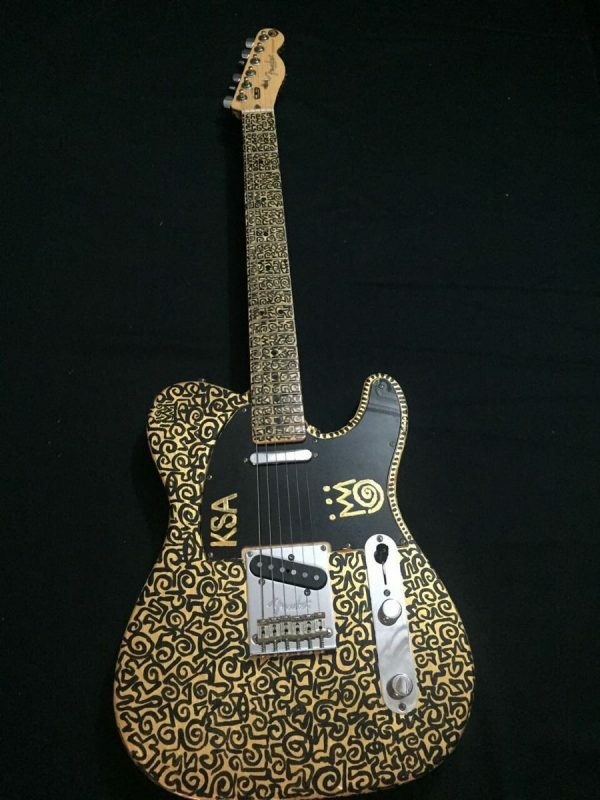 The auction started from Nine million naira (N9m); I was like for a single guitar? Like play like play, it kept going up. The buyers were very serious, ready to outdo each other; calling millions like they were saying thousands. I kept watching in awe and I told myself and they said there’s recession in Nigeria? Nah there’s no recession; at least for the big boys. For them, recession is just a word. Chai, there is money in this country, those who have it; have it well. Those who don’t, do not have it. I sat down there, watching how they were calling 40m for a guitar, and I said to myself, babe; you will never be poor. In fact, you can’t afford to be poor. I was saying to myself, it’s not like these big men will play the guitar oh. They may just hang it as an antique in their store. Anyway, one lucky big boy won the auction paying a whooping N52m for the guitar. It is well, one day. Me ma I go hammer. Lol. Asin eh babe you must hammer oh. Me sef must too hammer. I saw a car today and I was like I must be rich in this life. I've managed too much it have do me biko.